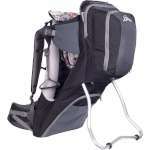 Deuter have combined their incredibly popular Aircomfort carry system, with an easy to adjust back length and an airy mesh comfortable and secure cockpit for this Deuter Kid Comfort Air Carrier to ensure it offers both you and your little one maximum comfort to be able to enjoy a fantastic day in the great outdoors together! 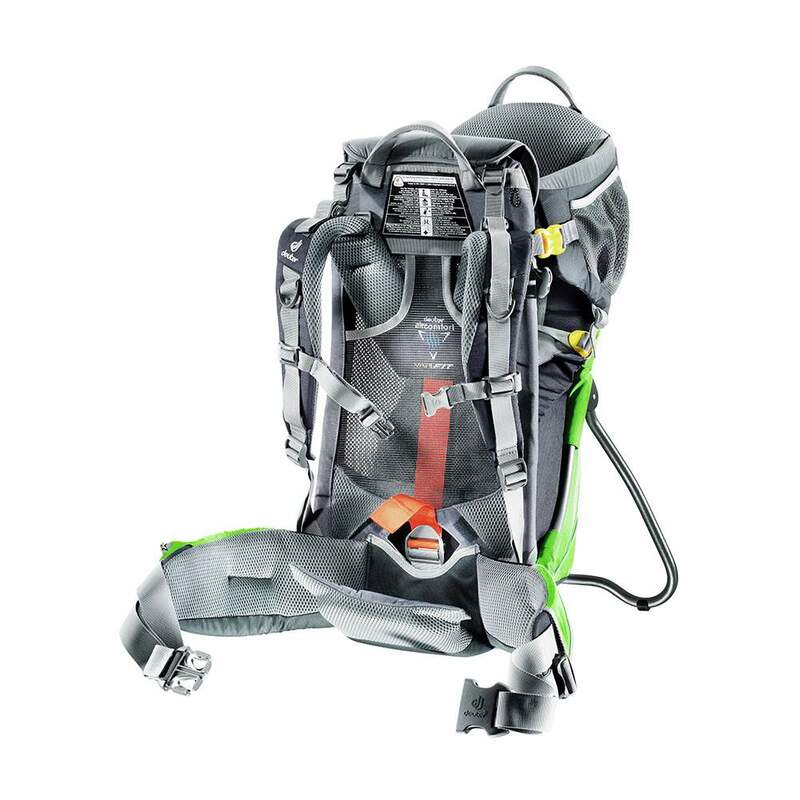 Here at OutdoorGear, we love the fact that this Deuter Child Carrier has their tensioned mesh Aircomfort Back System which creates a space between the pack and your back to ensure maximum ventilation via its flexible spring steel frame, which is durable and comfortable against your back. 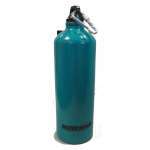 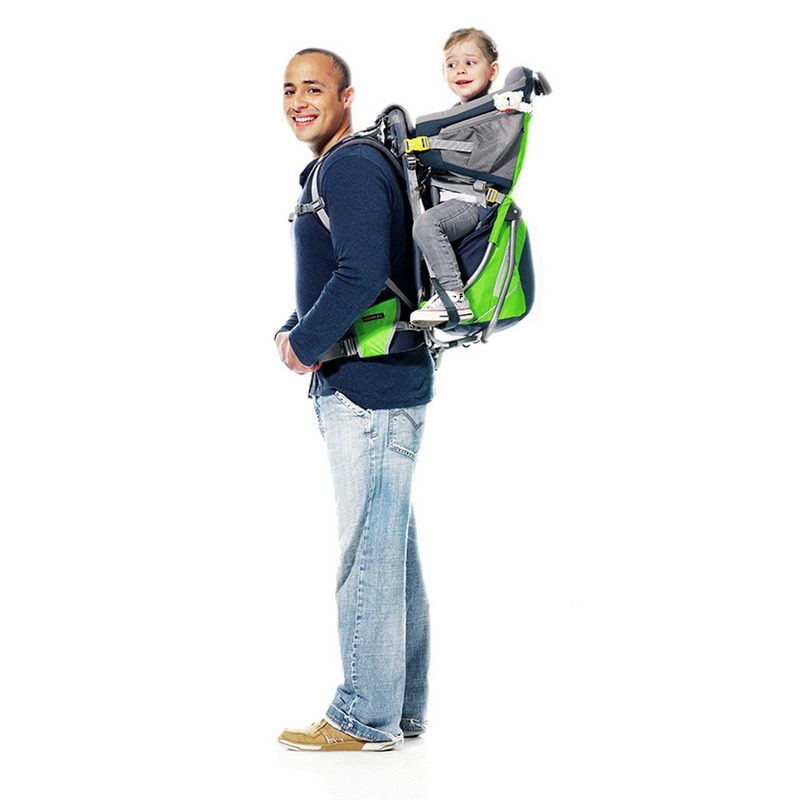 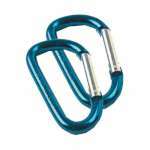 This system has been combined with a VariFit (otherwise known as Vario) System so that the carrier can be adjusted to the length of the wearers back to be able to offer the perfect fit and a safe and balanced carry too. 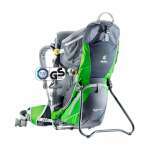 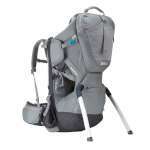 In addition to the above back system, this child carrier also features load adjustment straps to adapt the packs centre of gravity, an adjustable sternum strap and multi-layered anatomically shaped padded hip fins with soft foam for excellent load bearing and comfort. 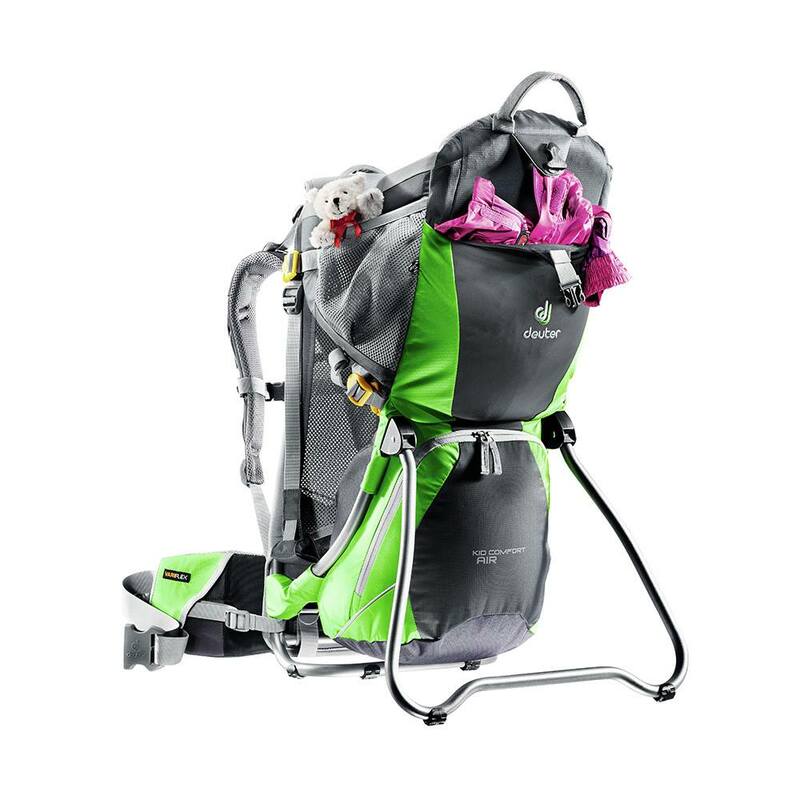 As for your child, the seat and harness can be effortlessly adjusted to fit their size perfectly and features lots of mesh to keep them fresh and comfortable too! 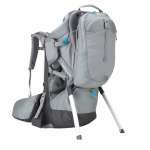 Deuter are well known for their attention to detail with their rucksacks and this Kid Comfort Air Child Carrier is no exception, it features a large zipped pocket and a stretch pocket with buckle closure on the back, a smaller stretch pocket on each side and a zipped pocket on one of the hip fins too, the ideal amount of storage for taking a change of clothes, pacifiers, toys, snacks and other necessities when you are heading out to enjoy the great outdoors with your little explorer!